First thing that comes to mind on hearing “chimney-sweep” is a dirty-faced lanky man… in a plug. Seemingly, it is a sheer absurd when people doing really dirty job wear aristocratic headwear. Truth be told, it isn’t that funny. 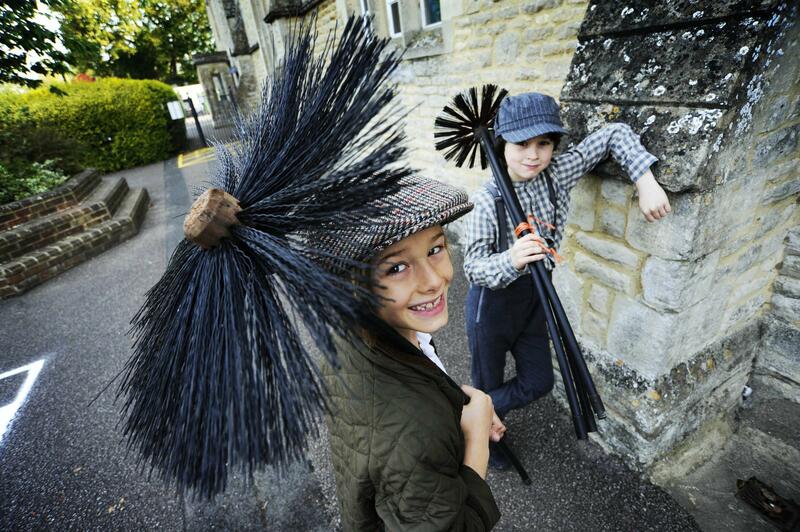 There are two sound versions of how the bulky hat appeared on chimney-sweeps heads. First is a practical one: many handy instruments can be put to a pot. Besides, working with chimneys, there is always a risk to get a brick in one’s head. In this case a plug served as a modern hard hat. The second hypothesis is, on the contrary, very romantic. 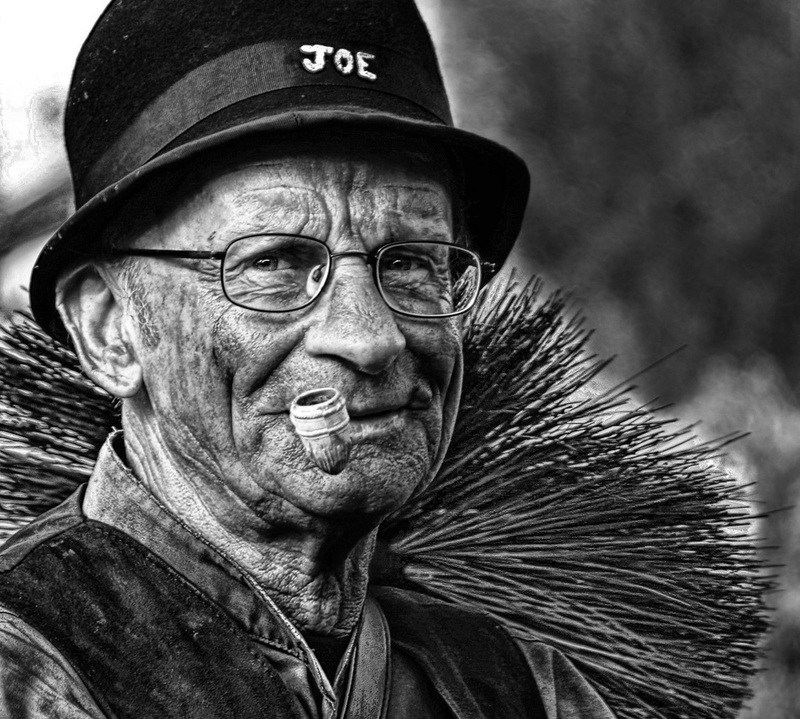 British chimney-sweeps confidently refer to non-existing law allegedly signed by the king himself. According to arguments of the craftsmen, it was the monarch who recognized significance and honor of their profession and therefore ordered them to wear plugs, as noble men did. Chimney-sweeps on the whole paid much attention to their outfits (you bet, they’re oblige due to their occupation). Mandatory attribute of their dress was the presence of thirteen buttons, they were believed to scare off the bad luck. It was customary to touch buttons of dirty-faced professionals when one met them in the street. Besides, it was always believed to be a good omen to distinguish a chimney-sweep in the crowd. In Europe in New Year days there was a wide-spread oddish tradition: expert in chimney cleaning used to walk along the street caring a living pig. People used to pay a symbolic amount to make a wish. After that a person would tear a hair out of the animal’s spine. Work of chimney-sweeps was valued not only in good old Europe but also in the USSR. In Tallinn, for instance, there was even their union. And the headquarters was picked by no accident. It is a well-known fact that in Baltic countries there are as many chimneys as nowhere else. In Riga, for instance, people are so proud of their gentlemen in plugs that there is a bronze monument in their honor beautifying Skolas street. When in 1960s coal heating was replaced with gas, chimney sweeps were no longer that necessary, naturally, their number decreased drastically. Nevertheless, there are places where one can still meet these dirty-faced aristocrats. In Italian city of Santa Maria Maggiore international meetings of stovepipe workers called “Spazzacamini” re held. In British Rochester, at the same time, they participate in widely merry theatrical performance. And if you believe in a sign that after you meet one craftsman luck will stick with you, you can only imagine how much luck thousands gathered chimney-sweeps will bring.